The UGA LGBT Resource Center celebrates Transgender Awareness Week Nov. 18-20. 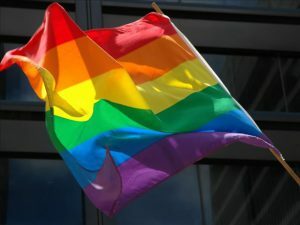 Athens, GA – The LGBT Resource Center at the University of Georgia will celebrate Transgender Awareness Week starting today. They will host lectures and workshops through Thursday that focus on the treatment of the LGBT community. Today transgender activist Luna Merbruja held a workshop at 2pm entitled “Liberation From the Margins: How to Fight Racial, Gender, and Queer Violence.” Merbruja will also deliver a monologue tonight at 6:30pm in the UGA main library. Below is a full schedule of events for the week.